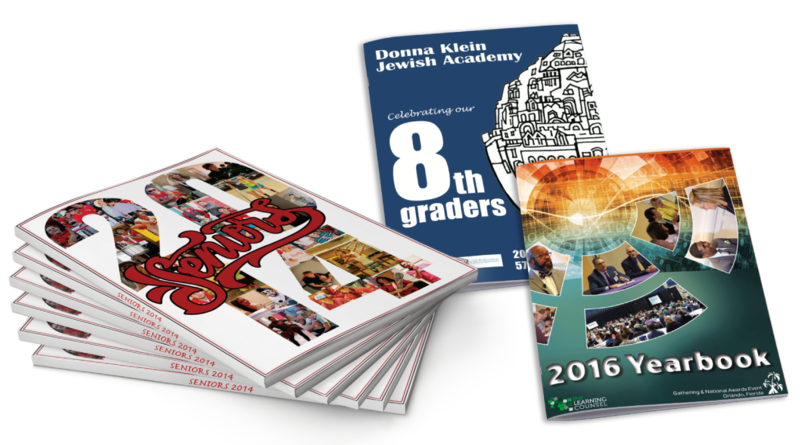 Our softcover yearbooks and spring insert supplements are perfect bound or saddle-stitched bound with a flexible, heavier weight cover paper like a paperback book or catalog. They are much less expensive than the old traditional hardcover yearbooks printed by Lifetouch, Jostens, etc. which are made with a thick, rigid paperboard, like a textbook. Our online yearbook printing company’s nationwide customer base from Los Angeles to NYC has given us a 9.4 Trustpilot rating and a BBB rating of A+. Read our rave reviews and try us out for yourself. Thousands of satisfied customers can’t be wrong. Satisfaction Guarantee! You will love our custom yearbooks printed on 100# premium gloss or matte text with vibrant color printing and our 80# or 100# gloss or matte cover paper, which can be UV coated to give your yearbook that luxurious high gloss finish. Delivered to your doorstep in 4 to 7 days from proof approval. These professional quality 8½ x 11 softcover, perfect bound or saddle-stitched yearbooks and spring insert supplements are printed in vivid full color with vibrant photos and at affordable prices on 100# gloss or matte text and 80# or 100# gloss or matte cover paper that can be UV coated. They are very durable and will set your school or organization apart. If you have designed your own files using the Adobe Creative Suite (InDesign, Illustrator, Photoshop, or a PDF), just upload your files and we will do the rest. Need design help? Contact one of our recommended graphic designers or utilize our premade yearbook templates in Photoshop, Illustrator or InDesign. Running Late on Your Yearbook? We’ll print and ship your yearbook or spring insert supplements in 4 to 7 business days. We also offer faster production times and overnight shipping. Want to Show More in Your Yearbook of Spring Things, Events, Activities, Etc.? Make a spring insert supplement that includes everything happening in the spring such as sporting events, plays, dances, recitals, graduations and other important things happening in the spring. Everything looked good, paper quality, color, cover. The only problem we had was that several of the covers came off because of the staples. Easy enough to glue back on, but still not 5 star quality. We are very happy! This company is wonderful!